PRIVATE ANGEL are a bunch of friends that know each other since 25 years. They were constantly playing the music they like. And this is in fact the music You like, otherwise you would not be reading this. While Peter and Dazz had a Group in the early 80s, wich was called Maggie´s Madness (later renamed as "Wildcat"), Robbo and Jo have been the heart of the Rockband "Vacancy". Beside Talon and later Frontline, these two rocking Acts were the only ones out of Nuremberg that got their name spread all over Germany and Europe. PRIVATE ANGEL´s third release means the full pack for your ears. Straightforward, on the level and neat they bring things to the point. 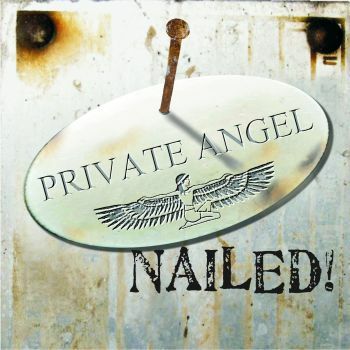 PRIVATE ANGEL play adult, heavy and straightforward music in wich you can feel the experience of a lifetime in Rock business, loaded with catchy tunes and recognition value.